SACRAMENTO – Most California voters are unfamiliar with the inner workings of the municipal-bond process. Many are likewise unfamiliar with the differences between, say, “general obligation” bonds and “revenue” bonds. Nevertheless, they will be asked Nov. 8 whether to require a statewide vote on any project financed by more than $2 billion in revenue-bond proceeds. 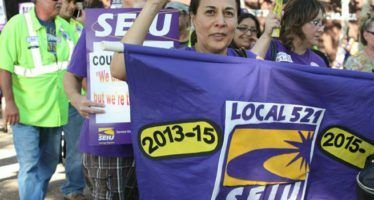 Both sides claim Proposition 53 will have far-reaching impact. The issue actually is quite simple, even though the political machinations are complex. There are two main types of bonds to finance long-term infrastructure projects. The most common are general-obligation ones, which are repaid through revenues in the state’s general fund. In other words, the money to repay investors comes directly from taxpayers. The California Constitution requires a vote of the people before the state government can take on such debt. By contrast, revenue bonds are repaid by users of the project. For instance, they typically are used on bridge projects, where users repay the debt by paying tolls, or on water projects, where water ratepayers repay the debt. The state does not require a public vote for these projects. Proposition 53 would require such a vote if the bond amount tops $2 billion. It “applies to any projects that are financed, owned, operated, or managed by the state, or by a joint agency formed between the state” and another agency, according to its official summary. Opponents believe it could harm the ability of the state – and local joint-powers agencies – to build necessary projects. “Prop. 53 could threaten a wide range of local water projects including storage, desalination, recycling and other vital projects to protect our water supply and access to clean, safe drinking water,” argued the Association of California Water Agencies, in the official ballot argument against the measure. They fear that, say, Northern California voters would not vote to fund a project designed to benefit Southern California water users. But the nonpartisan Legislative Analyst’s Office, in its analysis of the measure, explains that “[r]elatively few state projects are likely to be large enough to meet the measure’s $2 billion requirement for voter approval.” Indeed, the only two current projects that could trigger its vote requirement are the $17-billion-plus plan to build twin tunnels underneath the Sacramento-San Joaquin Delta to divert water toward Southern California and the governor’s $68-billion high-speed rail project, which could possibly employ the use of revenue bonds, although its current funding is uncertain. Critics of the measure note it is funded largely by Dino Cortopassi, a retired Stockton-area farmer and opponent of both projects. Supporters say the measure is about controlling the state’s wall of debt, not about stopping any particular project. Cortopassi, for instance, in 2014 sponsored a series of newspaper advertisements across the state (titled, “Liar, Liar, Pants on Fire!”) accusing state officials of using “deceptive” accounting to hide the size of the state’s debt and unfunded liabilities. The measure is designed to stop state agencies from using this particular form of debt to circumvent a public vote and fund mega-projects. Even though revenue bonds are funded by user fees, they still often rely on taxpayer dollars, Prop. 53 supporters note. 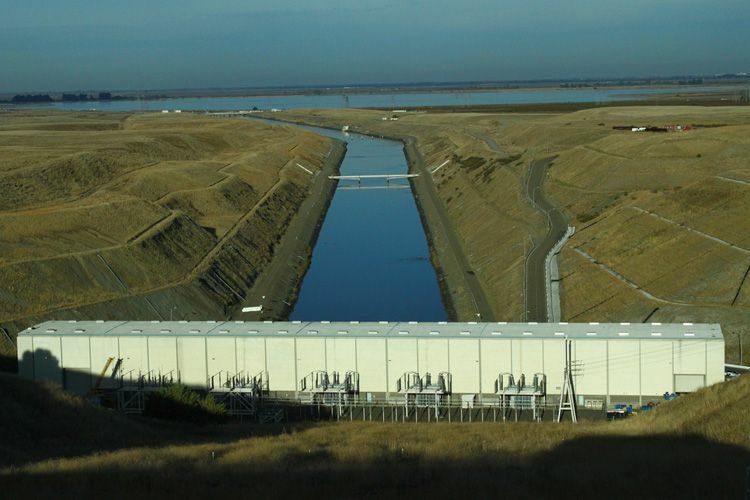 For instance, the revenue bonds that would fund the twin tunnels project would be funded “mostly by rate hikes and property tax increases on water customers,” according to a San Jose Mercury News report. In other words, the “revenue” stream is from higher property taxes and rate hikes on customers. Since those bills are ultimately paid for, in part, by taxpayers, supporters think taxpayers should have a vote. Furthermore, some projects funded by revenue bonds have sought taxpayer help and enjoy some taxpayer subsidies. The initiative’s opponents say municipalities are not on the hook for these bonds. But supporters argue that, while governments may not legally be required to make good on them if a project fails, they might have little choice but to help pay off the debt, given the impact a failure would have on their community’s overall credit rating. Prop. 53 supporters see that as evidence that voters need to close a loophole used by legislators to fund projects without public support. Requiring a vote is not the same thing as stopping a project; supporters simply need to do a good job packaging the project in a way that appeals to voters, who tend to vote in favor of the vast majority of bond-funded projects that come before them anyway, they say. Opponents point to this element of the LAO report: “(T)here is some uncertainty regarding which projects would be affected. This is because the measure does not define a ‘project.’ As a result, the courts and the state would have to make decisions about what they consider to be a single project.” There’s some question, the LAO continued, about whether a single building would be a project or whether the definition of “project” covers multiple buildings that are part of a complex. These uncertainties could create litigation problems, although supporters say the fear is overblown. Primarily, supporters see Prop. 53 as a means to rein in runaway levels of debt that plague state government and to put into place a means to at least consult with voters the next time an administration proposes a massive statewide infrastructure project. Opponents fear the measure could hold up important regional projects, as a joint agency has to lobby the entire state to win approval for something that’s fairly local. There is a third possibility: The bar is so high for triggering a vote that the measure may be much ado about very little. As the LAO explained, “(I)t is unlikely that very many projects would be large enough to be affected by the measure.” On a ballot filled with hot-button issues, such as marijuana legalization and eliminating the death penalty, this one might cause voters to shrug. 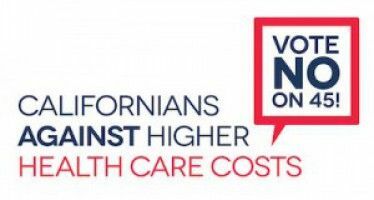 The state legislature is mandated to make good decisions for California. Thats their job. When they don’t or won’t’ do their job its usually because they fear loss of voter support. We elect them to do what needs to be done, not to avoid and pass it back to us.